Southwest Detroit in the early 1910's was a growing industrial district, with neighborhoods springing up around factories and warehouses. 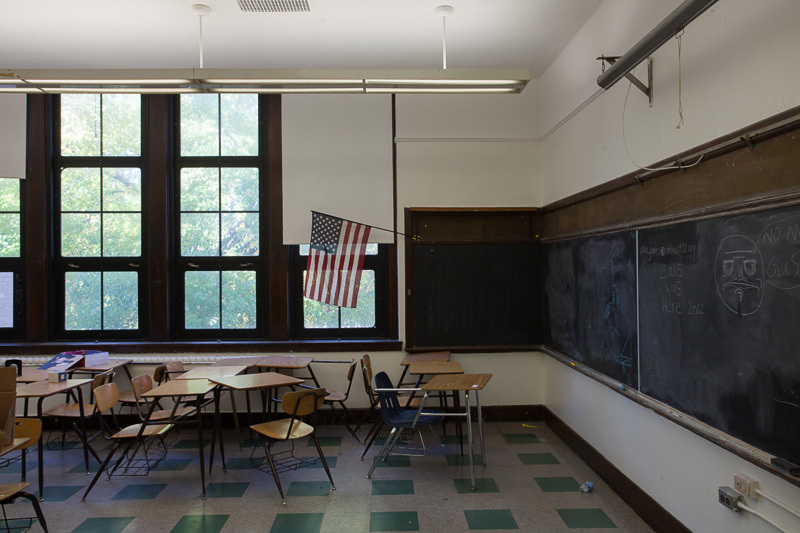 Though the area already had several elementary schools, upper grades were not yet compulsory in the state of Michigan, and the city had only a few dedicated high schools. 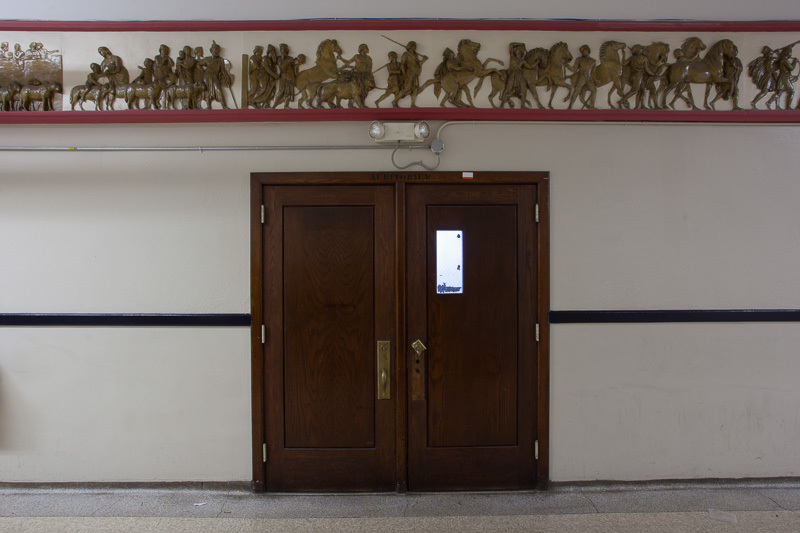 As more families arrived in the city and enrollment in schools increased, the need for a high school in the southwest part of the city became a priority for superintendent Charles E. Chadsey, who began lobbying to have one built in 1914. Chadsey's first effort was unsuccessful. Officials were not impressed with the proposed site of the school, a parcel of land on Fort Street and Green "situated in the heart of a smoky manufacturing district and alongside a railroad track." Despite protests from residents who wanted the high school, the school board declined to pursue the matter, instead allocating $50,000 for an elementary school to be built three blocks to the east. 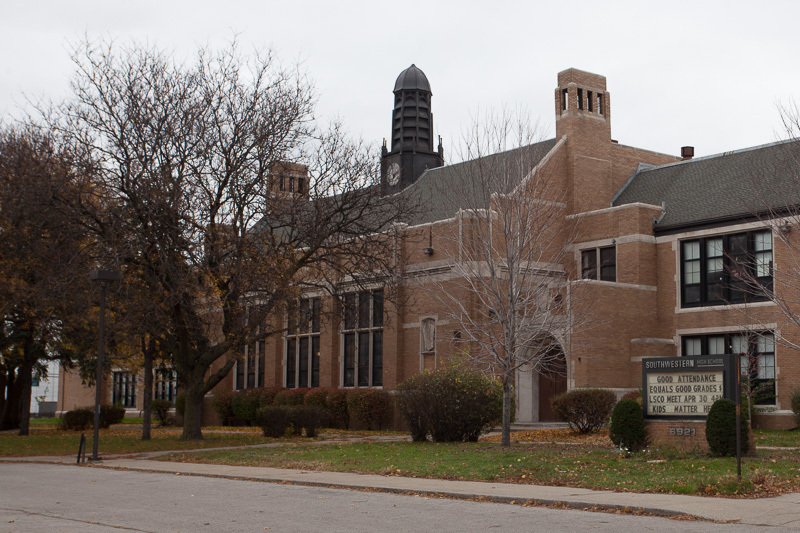 Construction started in late 1915 on John A. Nordstrum School. Though initially planned as an elementary school, at some point during the construction it was decided that Nordstrum would be a high school, at least until a larger one could be built nearby. This change came about as state laws were passed that made attending upper grades mandatory for students. When Nordstrum High School opened in September of 1916, it did so without any chairs – the train car carrying them was lost in the vast railroad yards downtown. 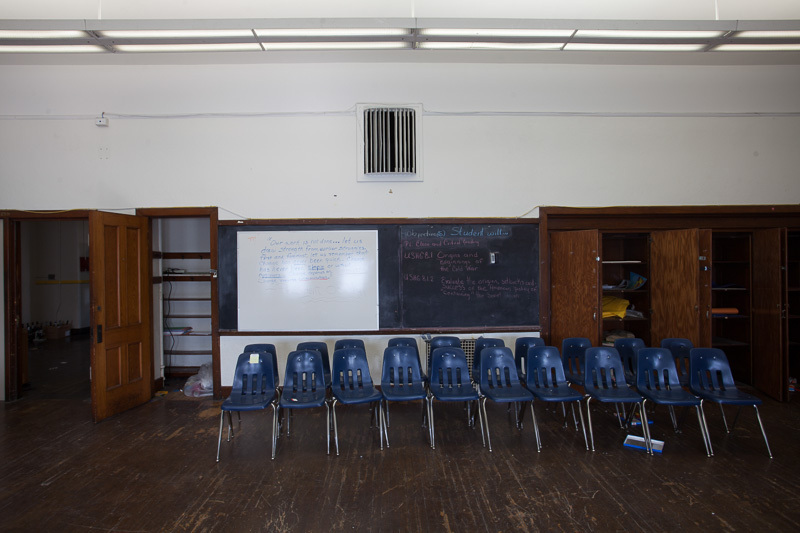 Enrollment at the school was 215, with 8 students in the first graduating class. 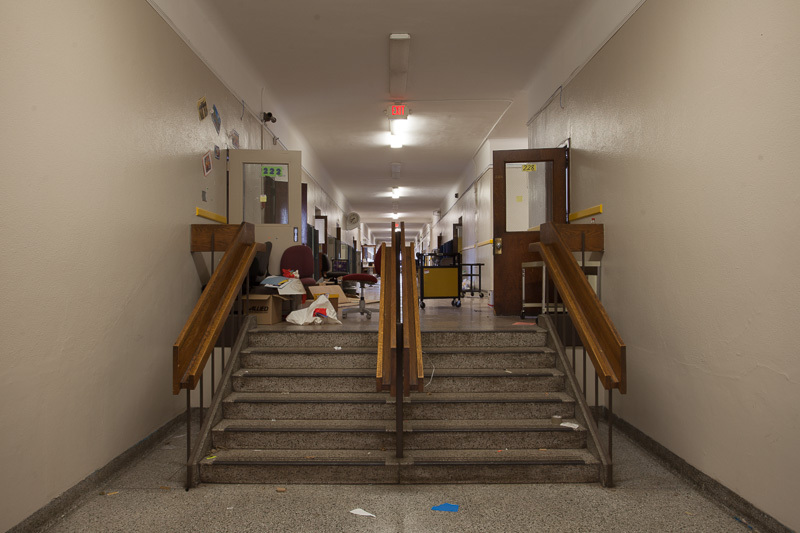 Just two years later Nordstrum was badly overcrowded, with 774 students packed into every room in the building, including classrooms in converted bathrooms and the coal bin. Superintendent Frank Cody, who had grown up in nearby in the neighborhood of Delray had watched the southwest part of the city grow as a teenager and later as an educator. When he took over leadership of the Detroit Public Schools from Chadsey in 1919, he inherited a school district rapidly expanding in all directions. To relieve overcrowding at Nordstrum, a new, larger school was proposed. 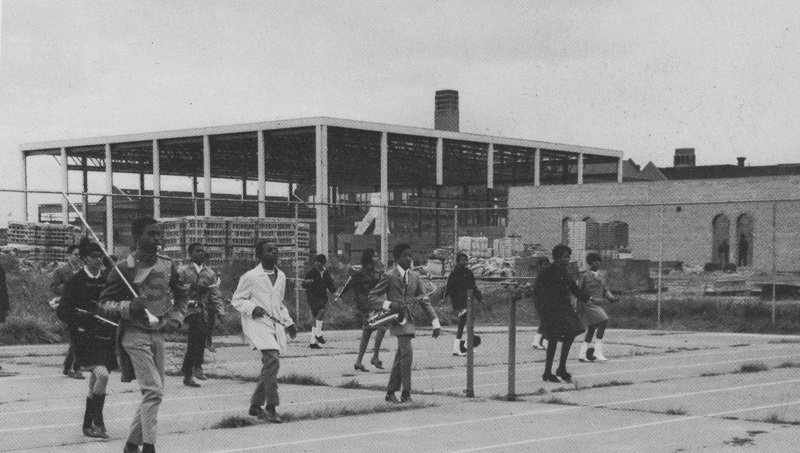 Southwestern High School was part of a new trend in education in Detroit, envisioned as one of the first schools in the district specifically designed for upper grade levels. 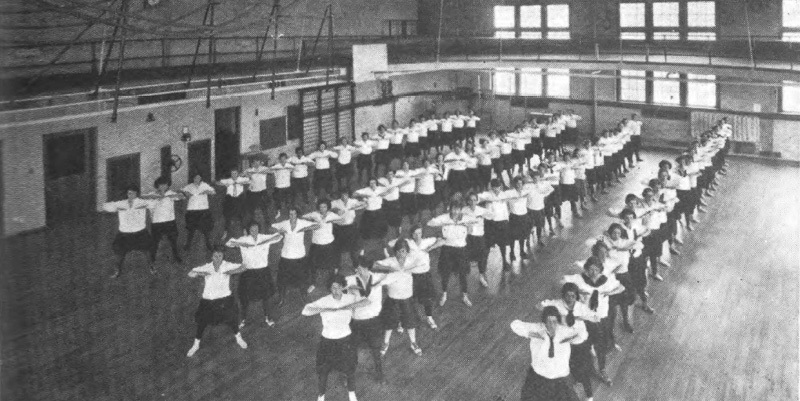 With an emphasis health and activity, plans for the school called for a gymnasium, swimming pool, and auditorium for both student and community use – features that would be common in later schools, but were rare at the time. 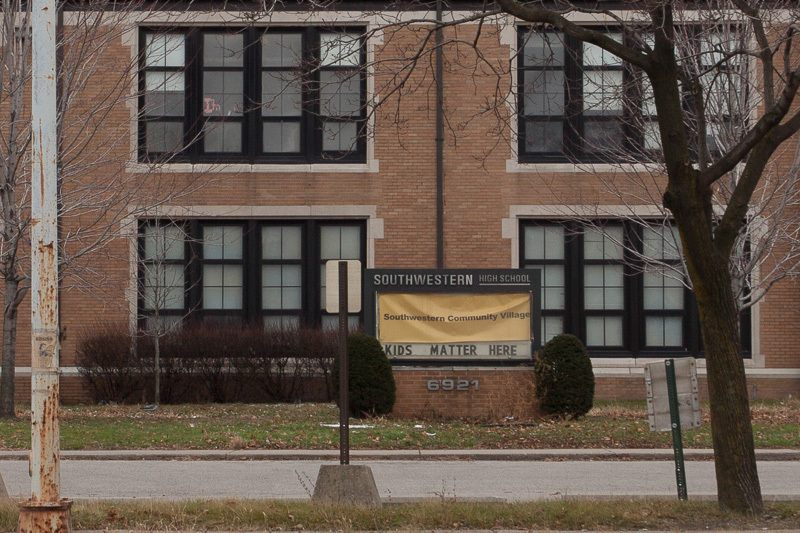 It was decided that Southwestern would be built next to the Nordstrum building, which would become an intermediate school, combining the two into a campus. 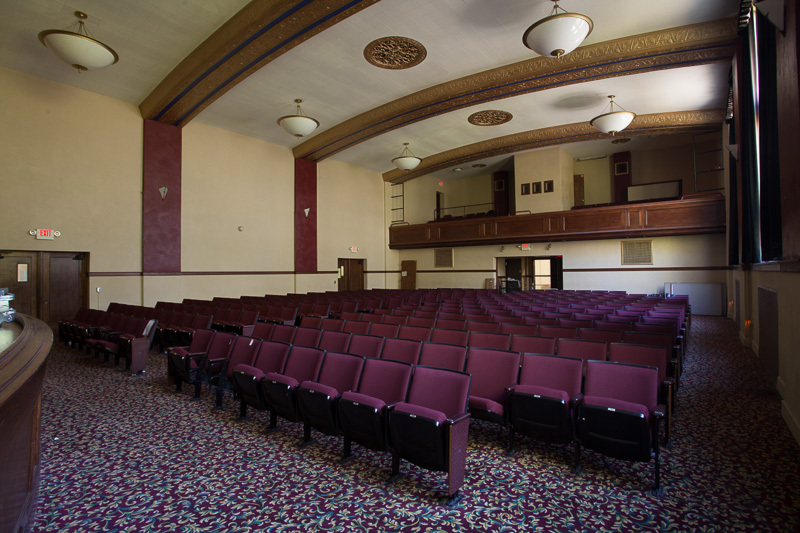 Plans were quickly approved, and construction on the Malcomson, Higginbotham & Palmer-designed building began in 1921 with an estimated cost of around $640,000. 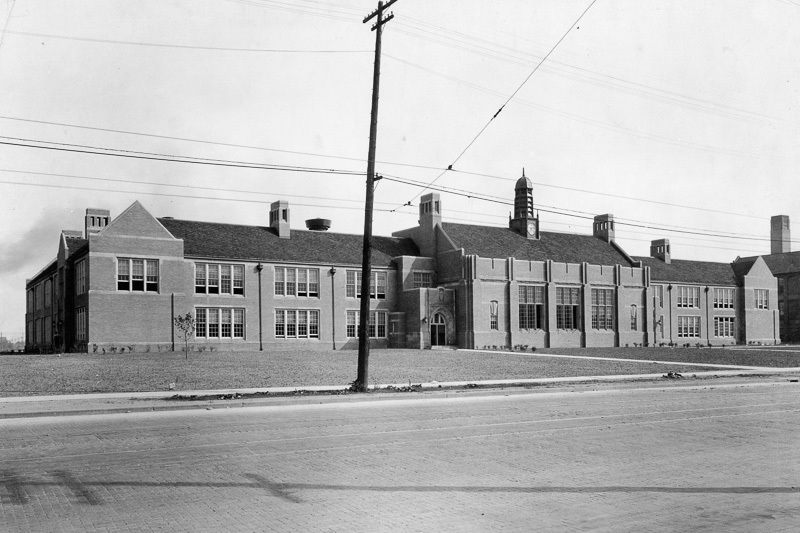 Dedication of the new Southwestern High School took place in April of 1922. The ceremony included speeches by city officials and a parade of soldiers from nearby Fort Wayne playing "Stars and Stripes Forever." One year later enrollment had reached 1,055 students. Instead of becoming an intermediate school, Nordstrum was to be turned into an elementary school in 1922, according to the annual report from that year. 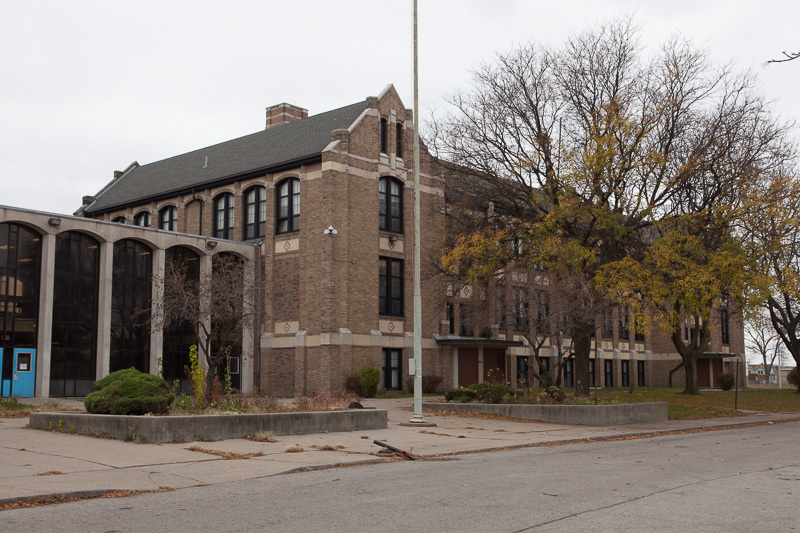 Subsequent annual reports make no further mention of the Nordstrum name, and it appears that the building became part of the high school, as some yearbooks from the late 1920's and 1930's make passing references to Nordstrum being used for 9th and 10th graders. 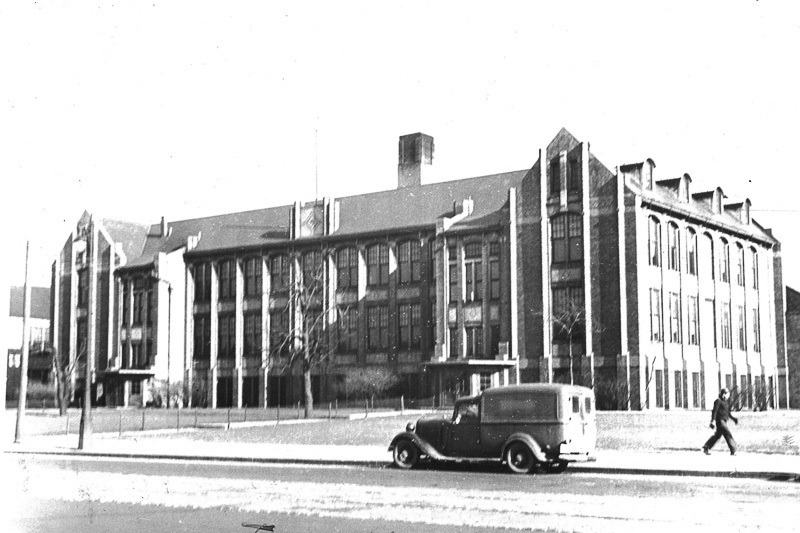 Enrollment at Southwestern High School peaked in 1937 at 2,719 students after taking in students from nearby Western High School two years earlier, which burned down and had to be rebuilt. By the mid 1940's, enrollment was averaging around 1,900 students, many of whom were of Hungarian descent. 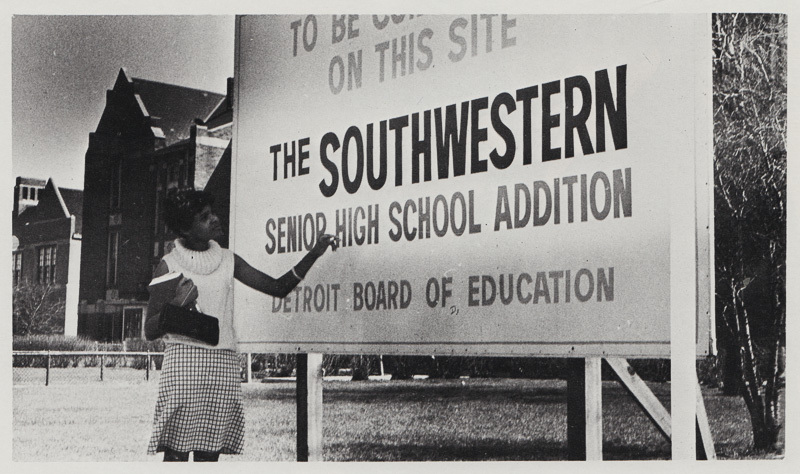 Southwestern also boasted the largest number of student-run clubs of any Detroit high school, with 25 groups dedicated to music, theater, horticulture, and volunteer work. 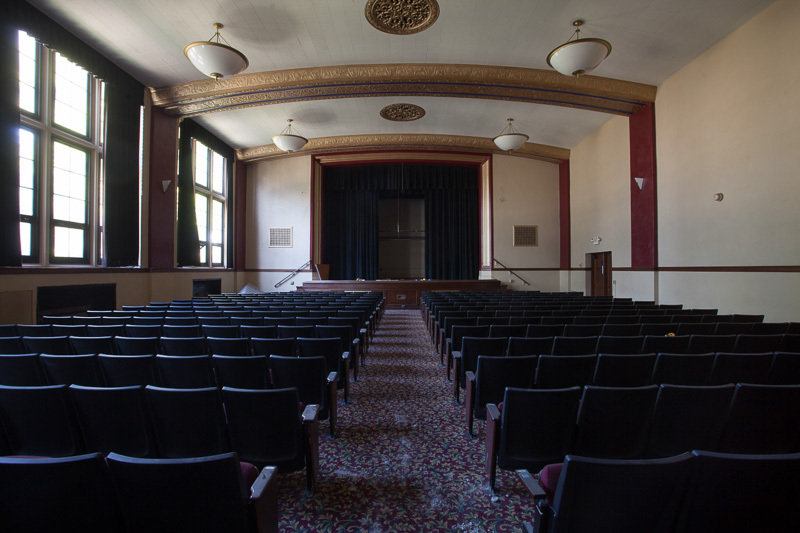 Though its design had been considered cutting edge when it was built in 1921, Southwestern was showing some age by the 1960's. 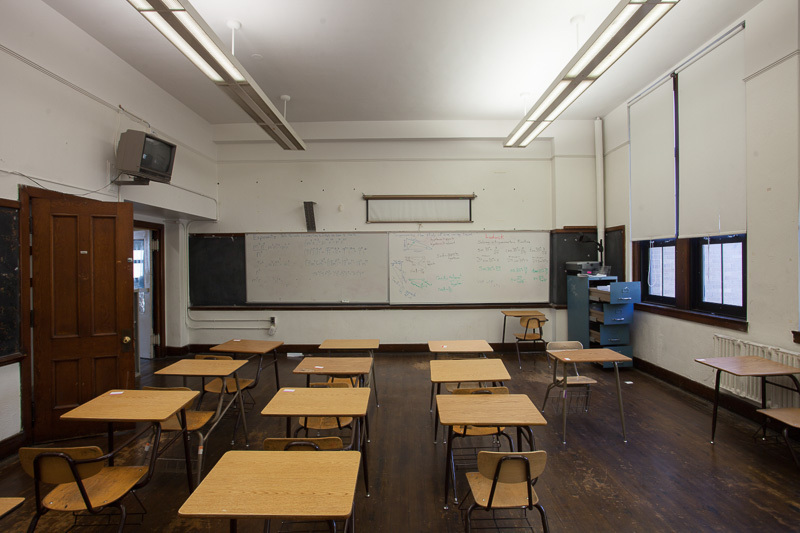 Many of the classrooms were being used for purposes beyond what they had originally been designed for. 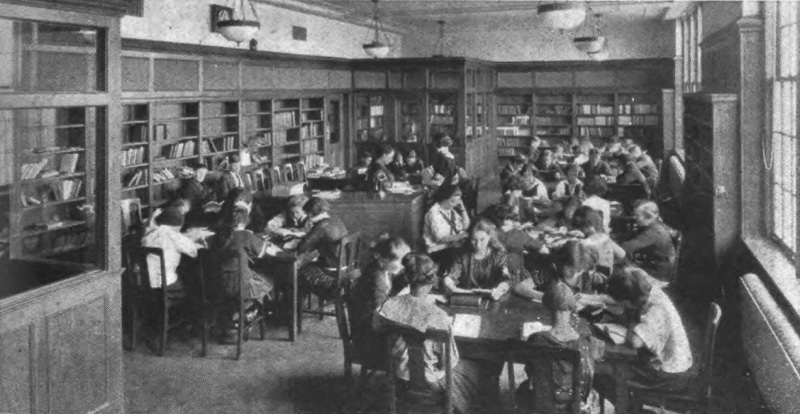 The school had outgrown the original library, which had been moved into the unused gymnasium of the Nordstrum building. 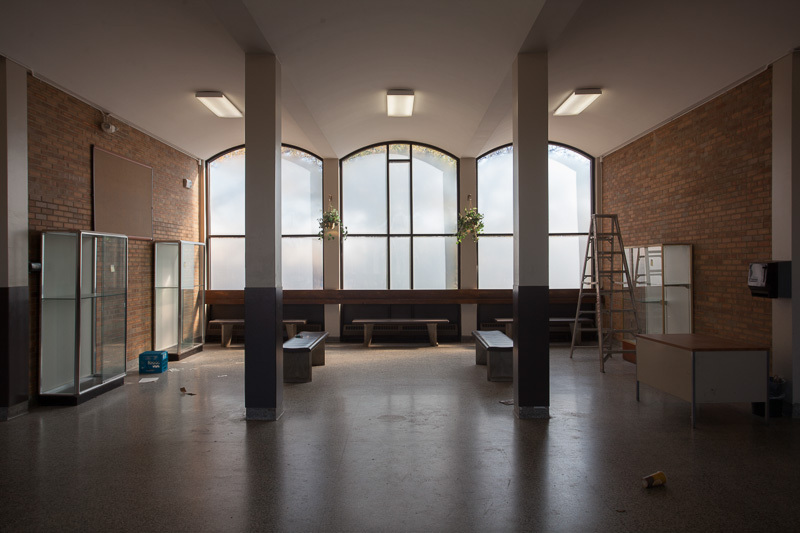 In 1967, work was started on a major addition that would completely reconfigure the school. 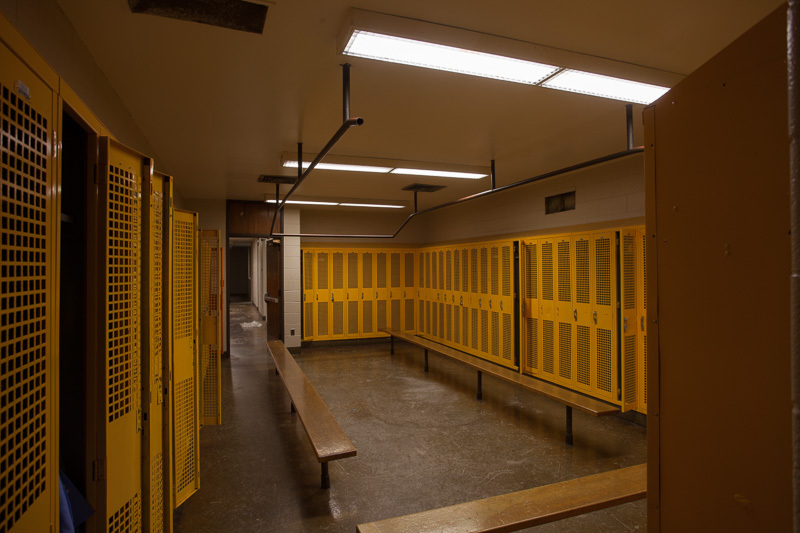 In the center was a new gymnasium, with modern locker rooms and a larger swimming pool. 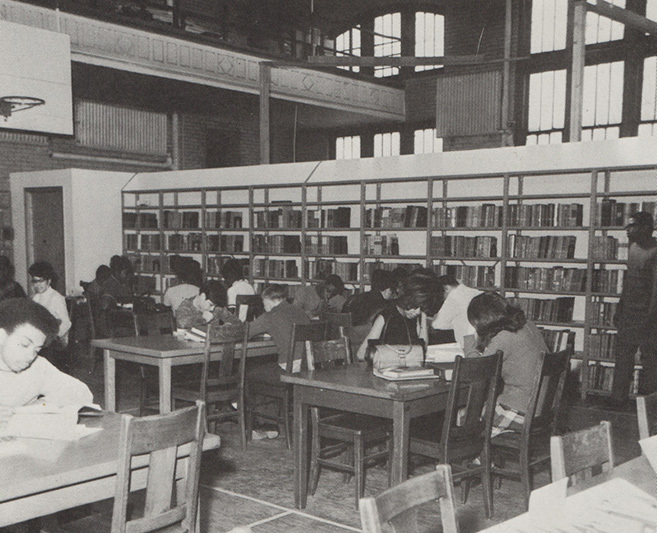 The existing gymnasium was converted into a library and classrooms. 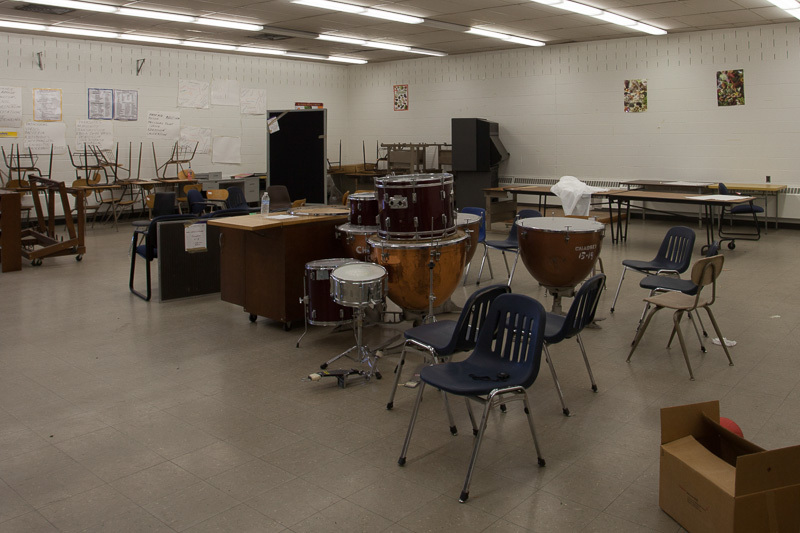 The new addition also had a larger cafeteria, performing arts rooms, and vocational classrooms. A modern two-story walkway connected the old Nordstrum wing to the main building. "Some of what I learned speaks to the enduring tradition of high school – homecoming, proms, sports, classroom antics, flirting, romance, parties, breaking small rules and just being kids," he wrote. "But it was impossible to deny the negative side, reflecting the problems of the world outside Southwestern's dirty red-brick walls: Smart kids dropping out, football players selling drugs, children having babies, teenagers feeling rejected or unloved or unwanted by their parents, youngster victimized by violence at home and on the streets, promising lives ending by suicide and by accident." Crisostomo would go on to win the 1989 Pulitzer Prize for Feature Photography for his coverage of Southwestern High. 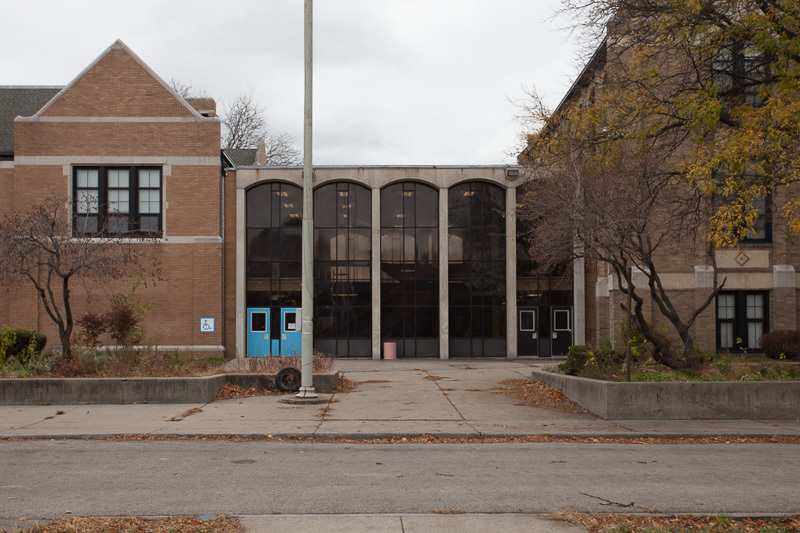 In 1994, voters approved a $1.5 billon dollar bond to fund improvements and renovations to the city's deteriorating school infrastructure. 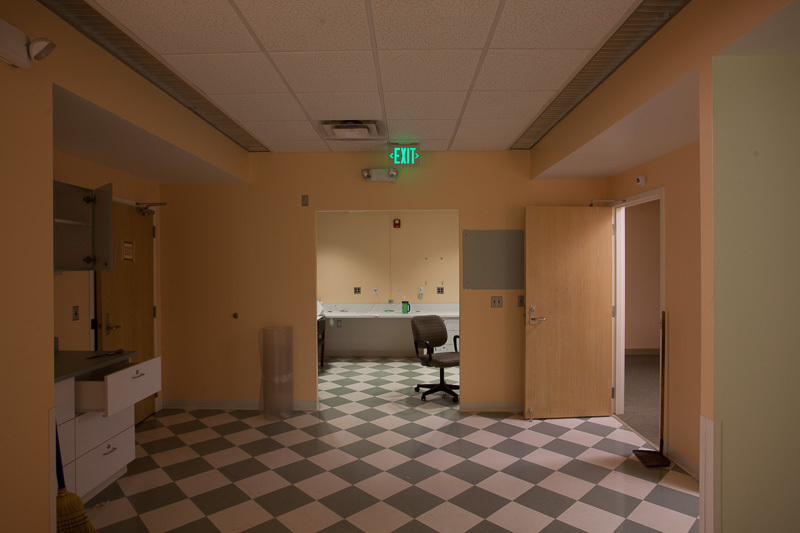 The school district spent $6.5 million on upgrades Southwestern, including new athletic fields, refurbishing the auditorium, and a new medical clinic. 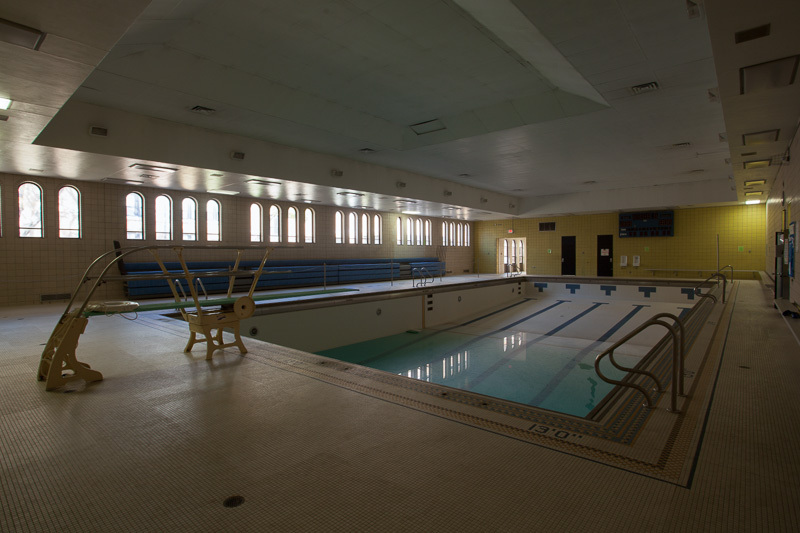 The swimming pool was replaced in 1995, but the new pool failed health inspections and was never used. It was rebuilt again in 2002 at a cost of $1.25M, but was too small to be used for competitive events. 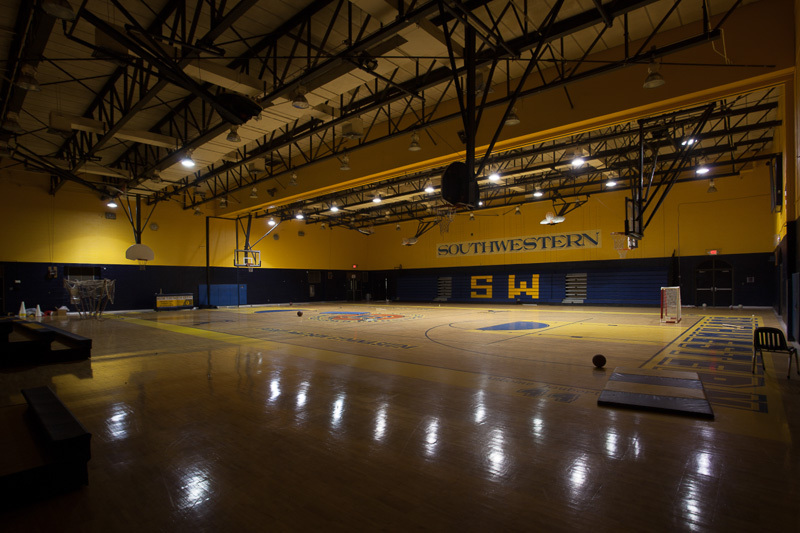 These improvements came at a time when Southwestern's enrollment had long since peaked. 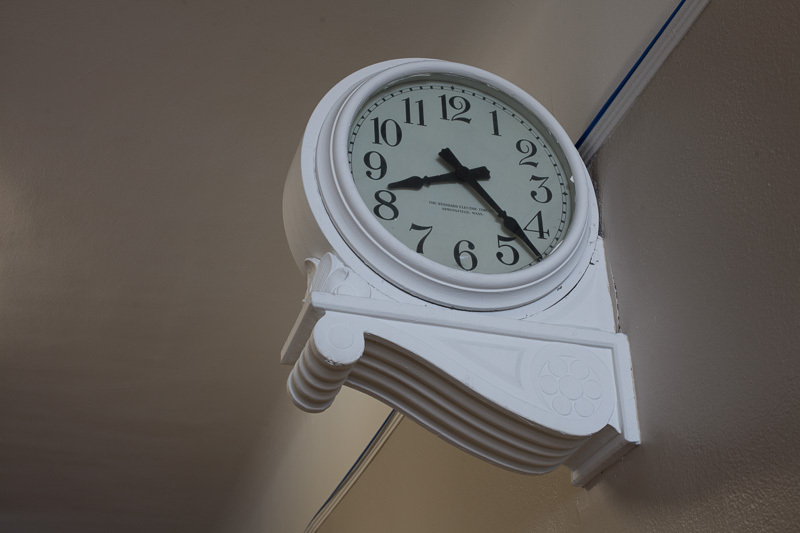 From 1,609 students in 1988, the school was averaging about 800 a year by 2000. 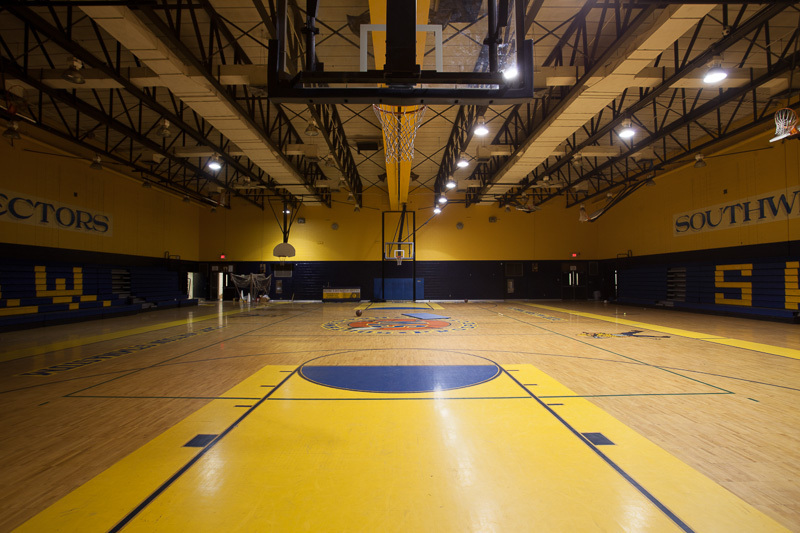 Still, the school district continued to pour money into facilities, including a new football field, track, baseball field, and tennis courts built behind the school in 2004. 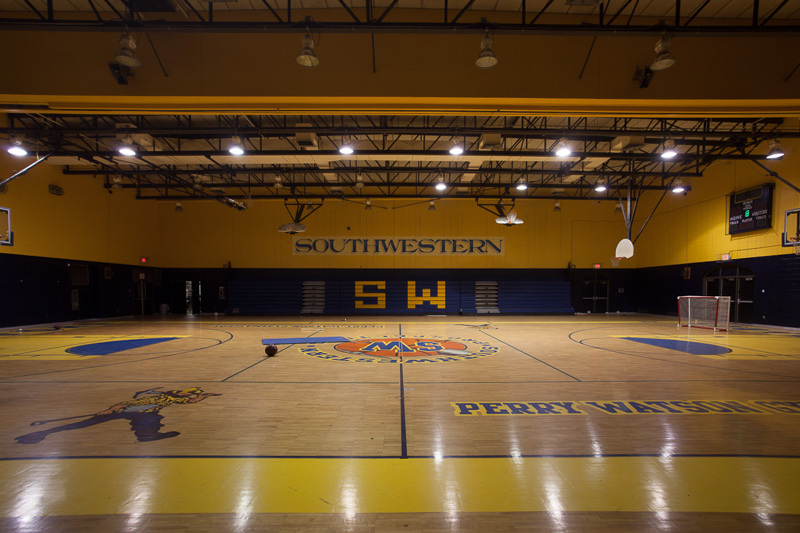 In 2006, alum Jalen Rose donated a new floor for the gymnasium, dedicated to former coach Perry Watson. As the number of students district wide continued to fall, schools around the city were closed and consolidated. 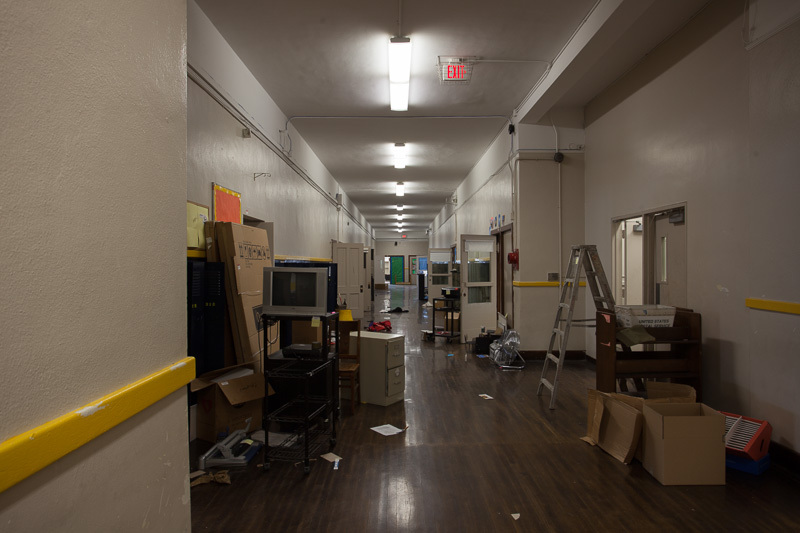 Chadsey High School, a longtime rival of Southwestern, closed in 2009 and was merged into the school, sparking concern among parents and students of gang violence. 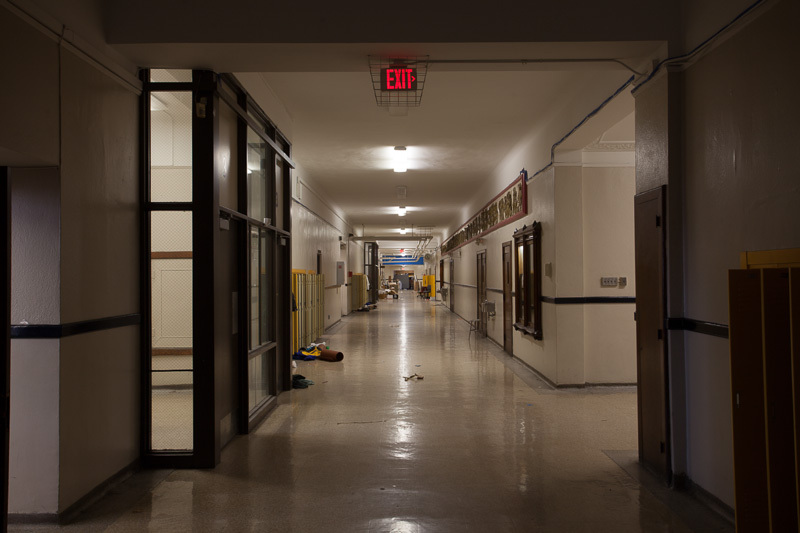 In 2010, the school narrowly avoided closure as well, getting a last-minute reprieve. 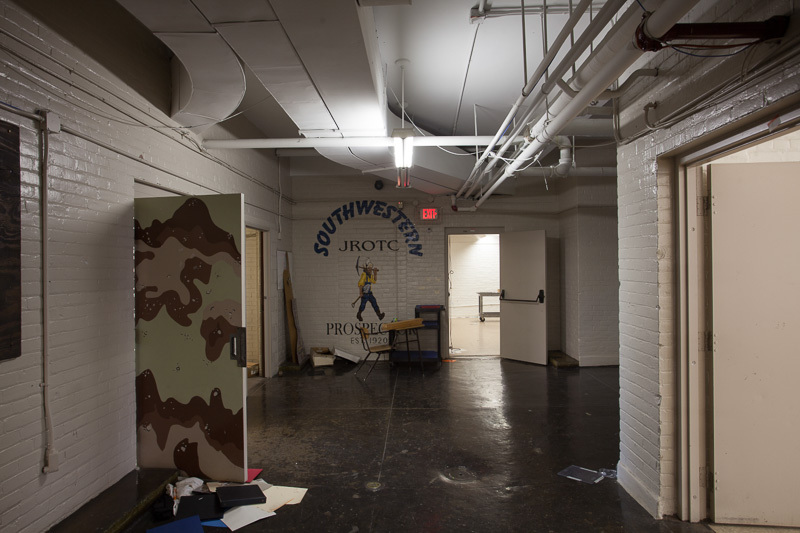 Though the school continued to struggle academically, it was improving, and the awarding of a $3M improvement grant in 2010 as well as continued investment by the school district made it seem that Southwestern might escape closure. In the end though, the investment was for naught. 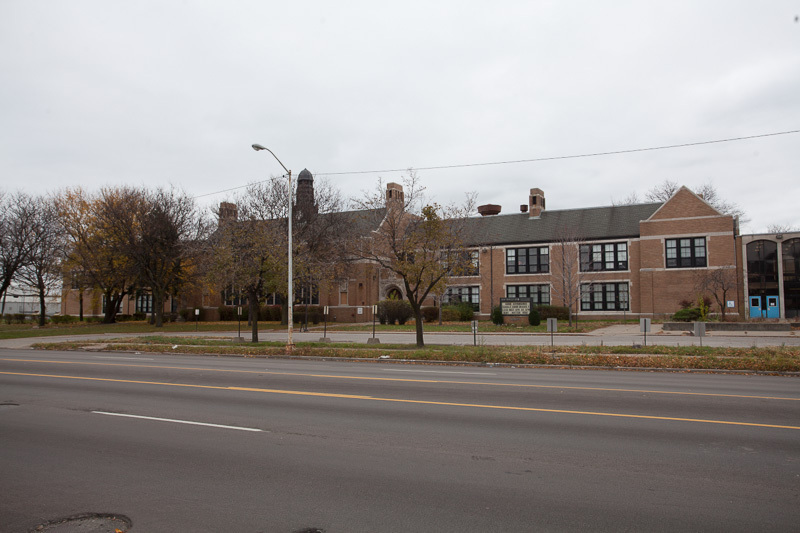 In February of 2012, Detroit Public Schools announced that Southwestern High would be closing at the end of the academic year, along with 15 other schools. Throughout the spring parents and students rallied to save the school, which was finally starting to show improvement in test scores. In April, students at Southwestern and Western High Schools walked out of class to protest the closure, fearing that the merging of the two rival schools would lead to violence. 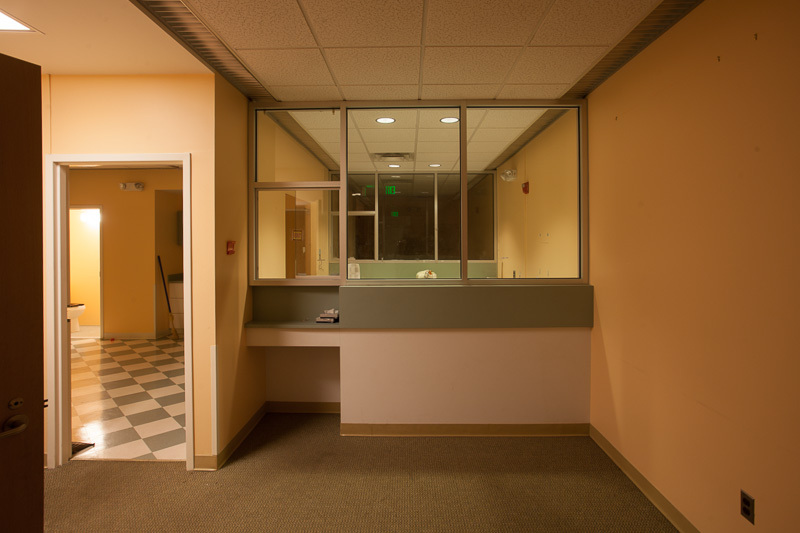 But with just 583 students and a capacity of 1,600, keeping Southwestern open was no longer financially viable. The school closed for good in July. 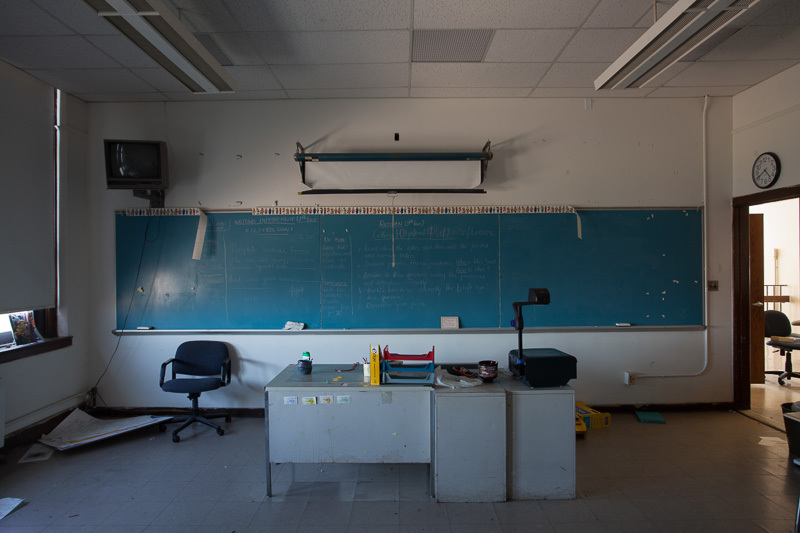 Since the school district started closing buildings in large numbers in 2000, officials had struggled with how to handle the surplus property and supplies left behind. In October of 2012, the district tried a new approach with Southwestern. 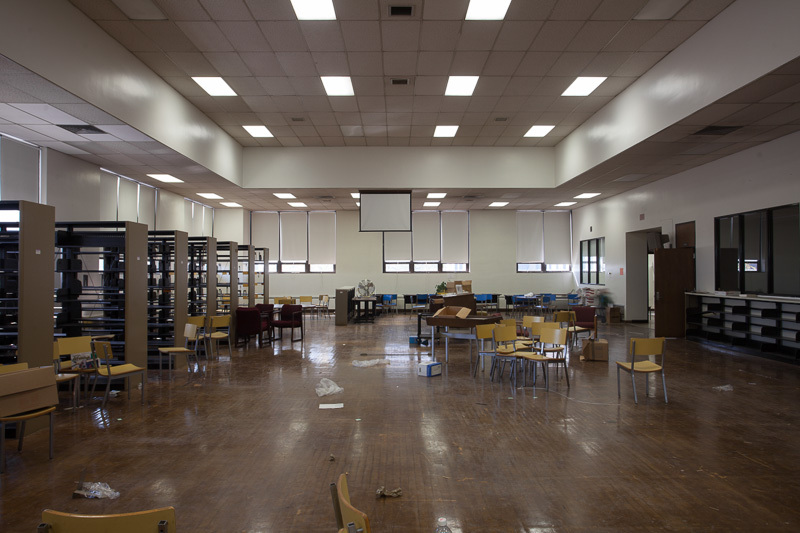 Rather than move all the desks, chairs, computers, and other equipment to a central warehouse, an auction company was brought in to sell everything directly to the public. Every item was catalogued, photographed, and put online with a starting bid as low as $1. Bidders from around the state showed up to inspect kitchen equipment, band instruments, tools, and electronics. In all, the auction saved the district $85,000 in moving costs. 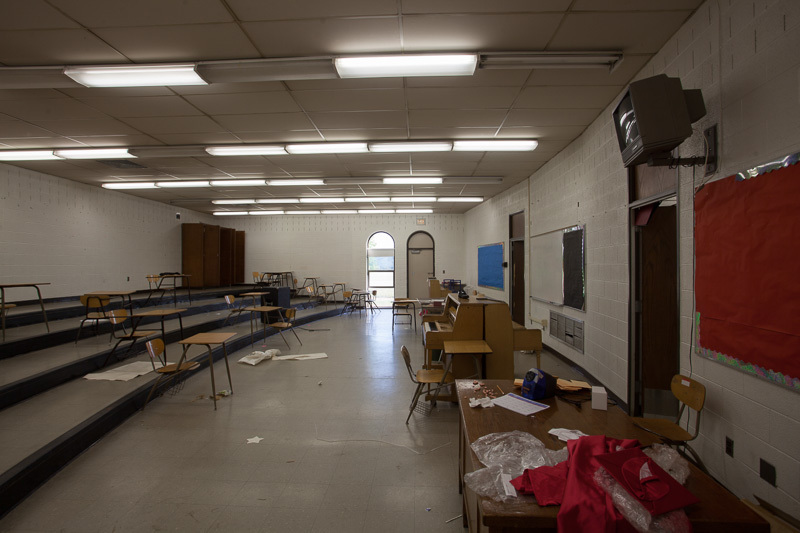 But not every item sold, leaving large amounts of supplies in the school, which was put up for sale. 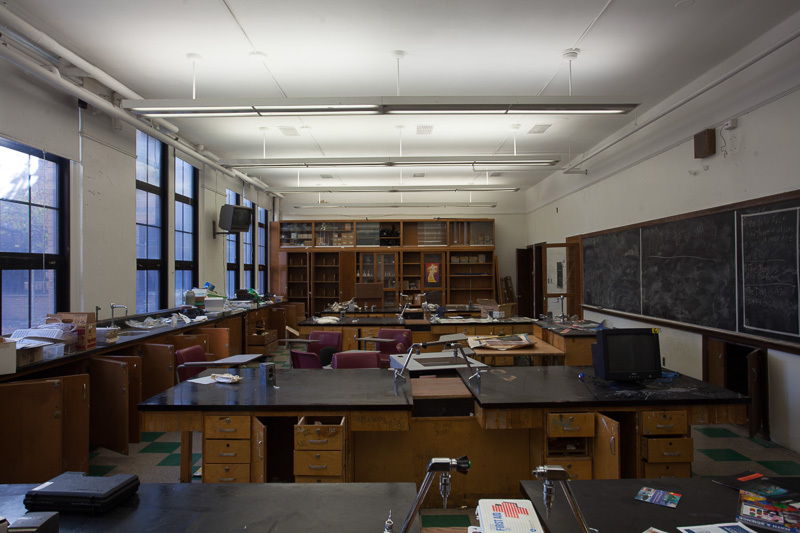 Over the winter a few interested parties looked into leasing the school. 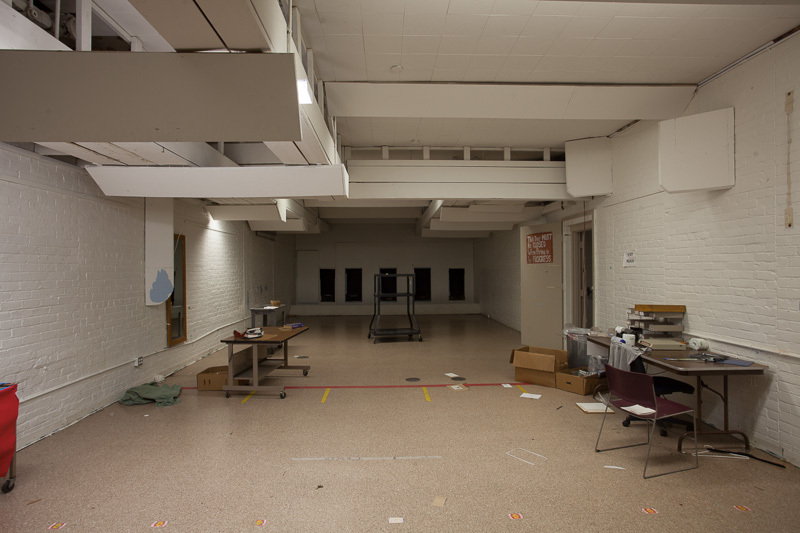 One neighborhood group proposed converting the school into a garment-making business. 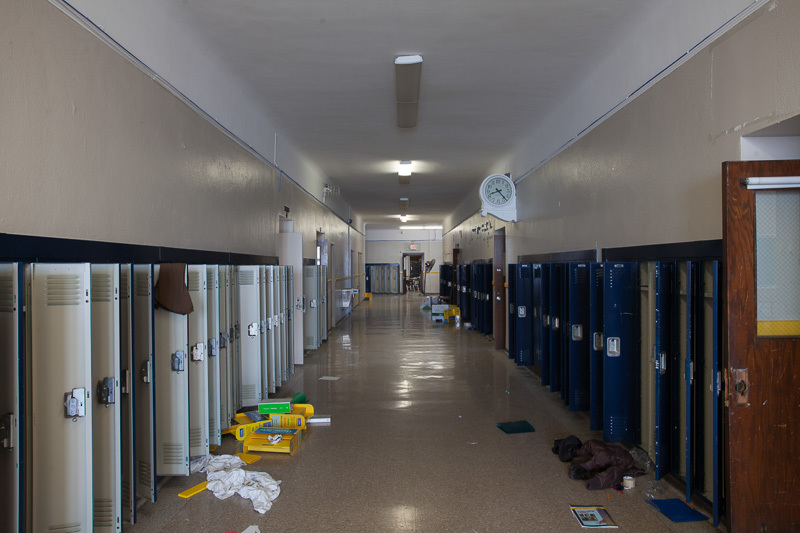 In February of 2013 a new banner advertising a community center was hung up, and private security began to patrol the building, but the deal fell through and the school remained vacant. 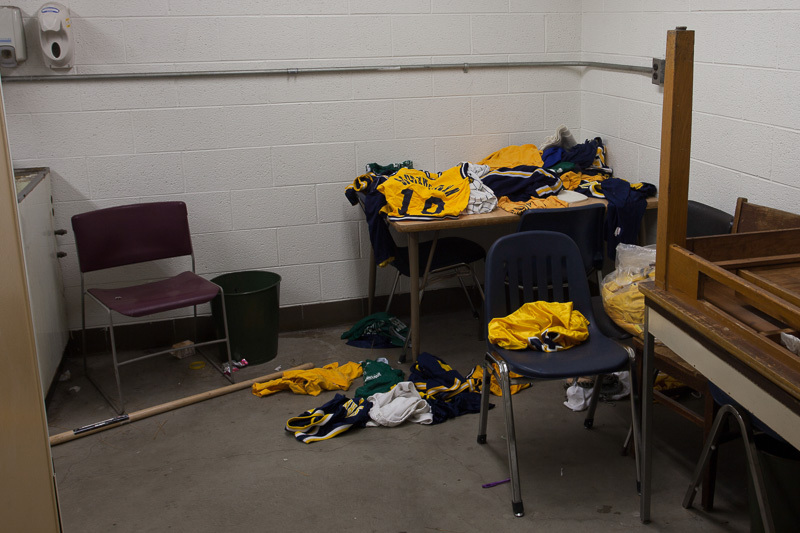 In the meantime, scrappers began to pick their way into the school. 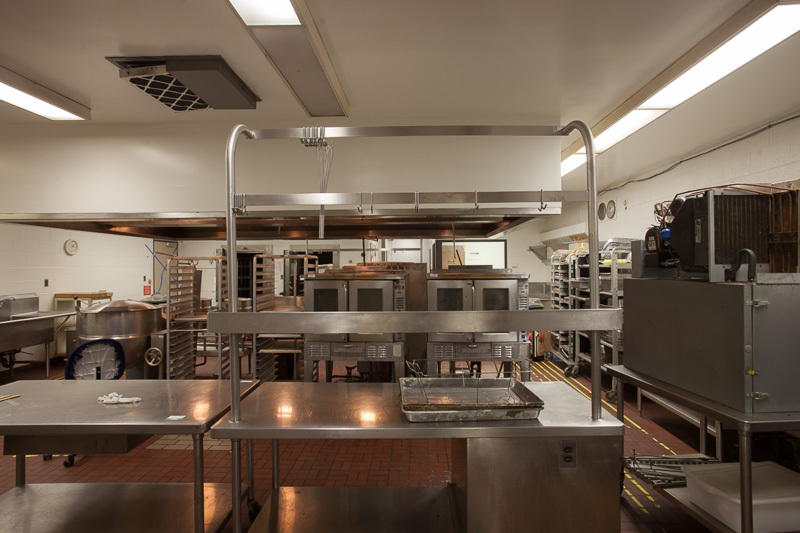 On March 3rd, a fire broke out in the cafeteria, severely damaging several rooms and causing smoke damage throughout the newer wing. 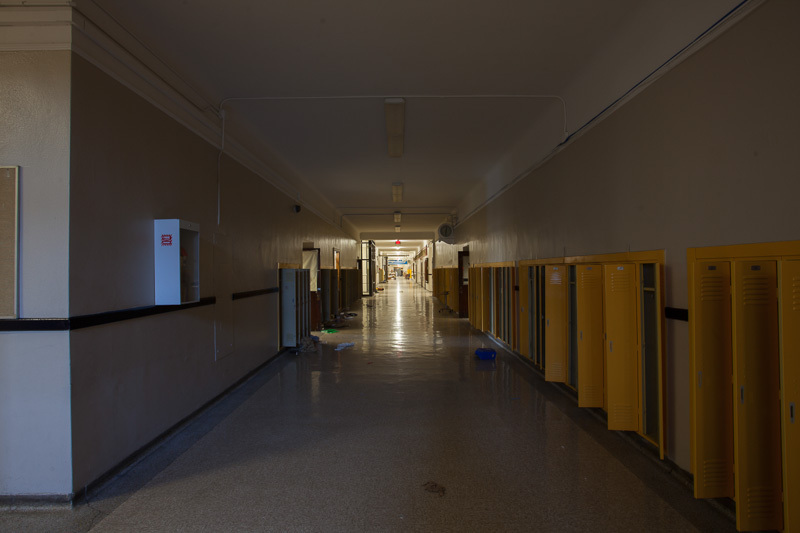 Though the spring the lights in the building started to go out as metal thieves ripped out the wiring, until there were no lights on at all. 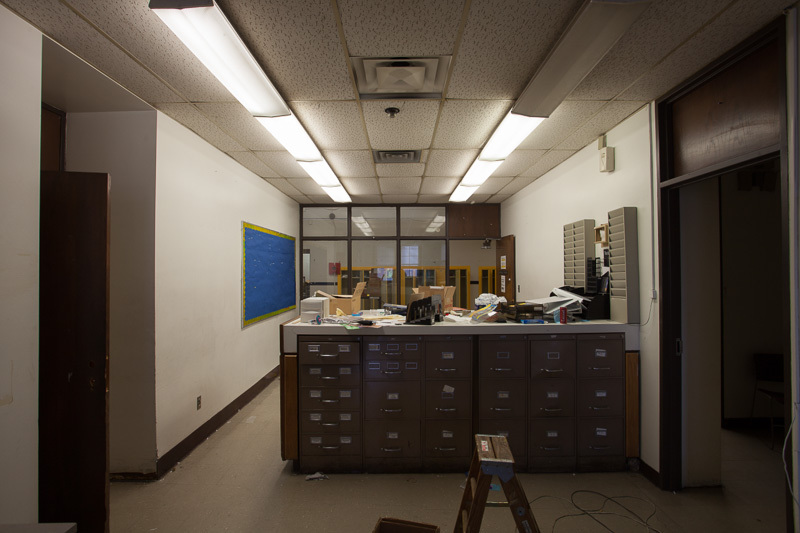 By summer the school was damaged beyond repair, with most of the wiring and pipe ripped out of the building. 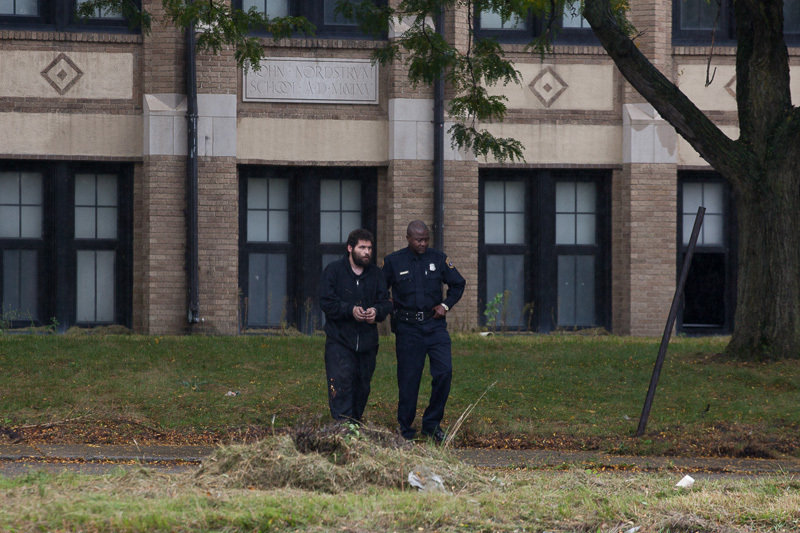 DPS and city police were called out to the school on an almost daily basis for people stripping the building. 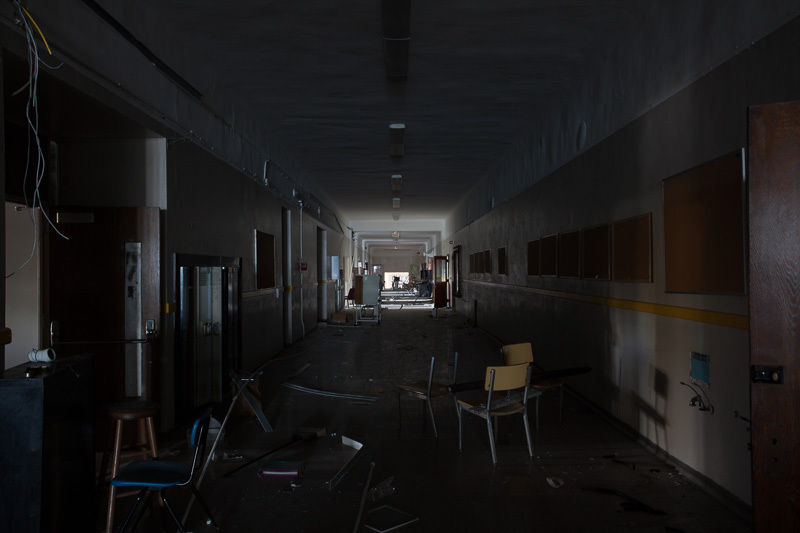 Despite the severe damage done to the school, in the spring of 2015 it was purchased by India-based auto supplier Sakthi Automotive, who announced plans to turn it into a training center for their nearby factories. Work began in the summer of 2015 with the demolition of the sports fields and the stabilizing of the school. 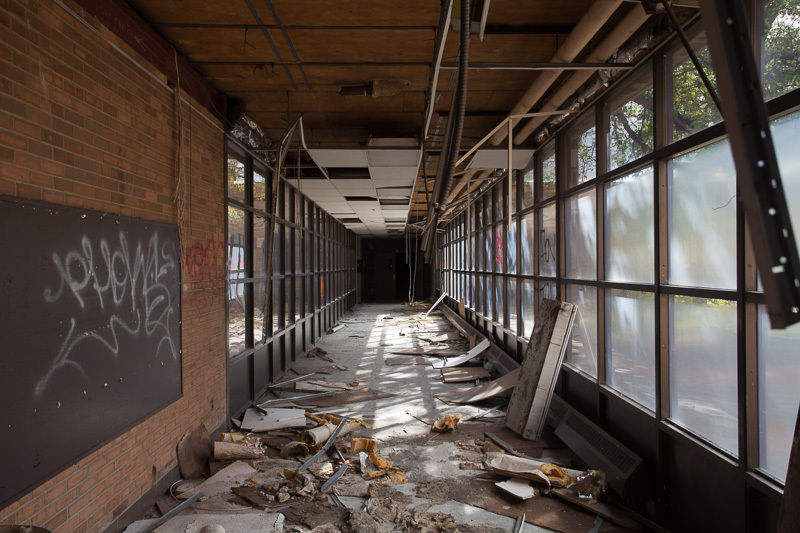 While a warehouse has been completed, no further work has been done on the school building.